SPECTRUM provides an easy-to-use platform for the distribution and sharing of important program documentation and courses. Upon registration and login to SPECTRUM as an Associate User, you will have access to the documents and courses provided to you by your program. Through the course tracking capabilities available in SPECTRUM, you will also have the ability to track your progress and completion relative to each course you take, providing visibility and awareness of your training progress to program staff. Prescribing Controlled Drugs: Critical Issues and Common Pitfalls for Advanced Practice Nurses. This course was developed by The Center for Professional Health at Vanderbilt to address the prescribing practices of nurse practitioners and physician assistants. This new course is guided by the current curriculum offered to physicians. The course will focus on nurse practitioners and physician assistants in their roles as prescribers in relation to different state regulatory rules that govern them. The course will provide current information on proper prescribing of controlled prescription drugs, identification of the drug seeking patient, diagnosis of substance abuse using SBIRT (screening, brief intervention and referral to treatment) and strategies to avoid risky prescribing behaviors. This invaluable introduction course for health care professionals provides insights on TnPAP's history and purpose. Viewers will learn how the organization's team of experts helps impaired professionals recover from emotional, psychological and chemical challenges through a carefully managed, step-by-step Monitoring process. The video includes a Q & A with TnPAP Executive Director Mike Harkreader; life-changing recovery steps, such as consultation, referral and monitoring; signs of impairment; and real-story case studies. 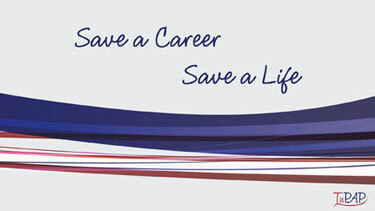 To enroll into the "Save a Career, Save a Life" TnPAP Introduction Video Course, click on the following link: http://birchwoodsolutions.net/groups/ and complete the following steps. Then click on the course "Save a Career, Save a Life: TnPAP informational video"
Save a copy of your certificate and email a copy to your email address to print for your records. *Available Monday-Friday, 8 a.m.-4:30 p.m., except major holidays. *Requests are responded to in the order in which they are received.